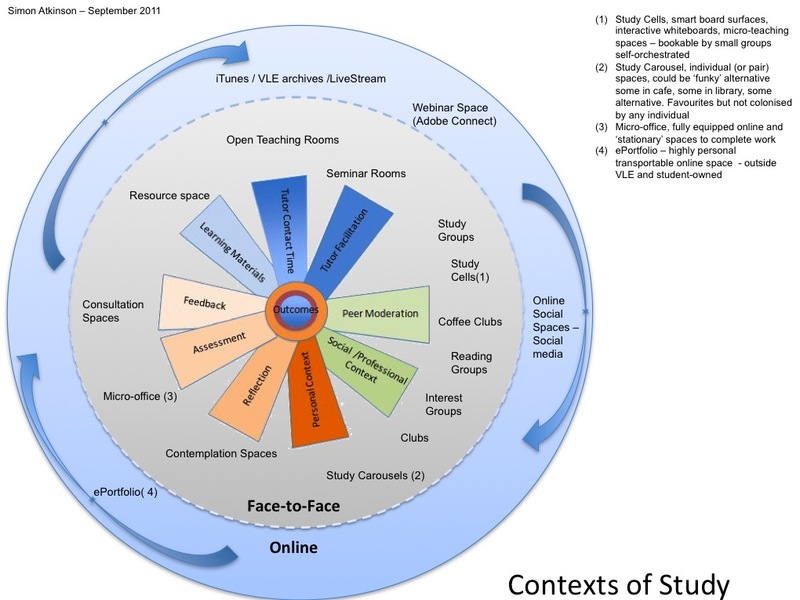 It’s a long way from the staff workload issue that the SOLE model and toolkit sought to answer, but perhaps a model can serve as a central conceptual pattern through which institutions can challenge, their own conceptions of learning, and teaching, and learning spaces. The extent to which a model of the learner’s world can represent the learning process itself has been an interesting facet of the SOLE models development. 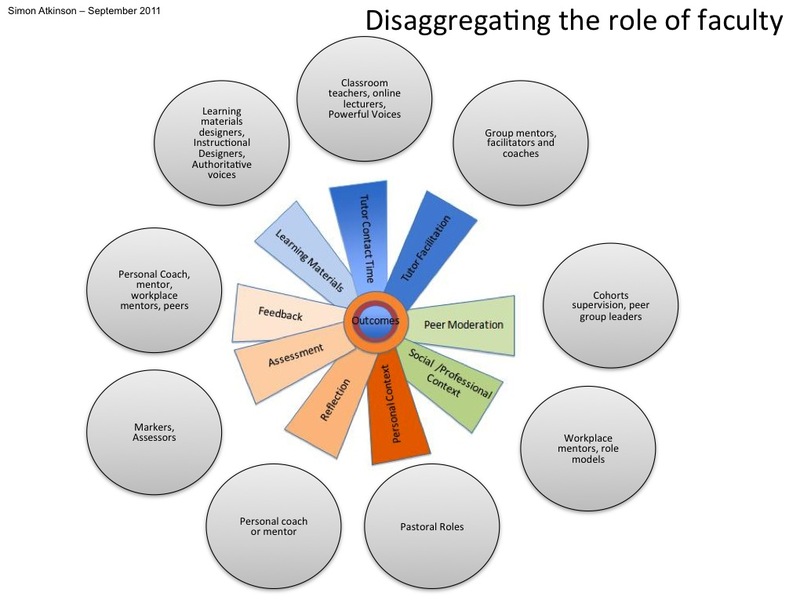 To what extent does a model designed to represent the elements of engagement the learner is required to recognise, and take ownership of, come to represent the ‘world of learning’ itself? I’ve started two new chapters of the SOLE manuscript to explore this. The first asks whether the changing nature of faculty roles, of what it means to be a ‘professional practitioner’, can be usefully supported by the SOLE model. Does it make sense to use this model of learning to ask what roles engage with learners under each of the model’s elements and look at our institutional responses through this lens? Could the SOLE model become a structure for faculty development and workforce planning? The second chapter under development looks not at faculty or students but at spaces. With student fees being a live issue in the UK at present, and lots of press attention on what students’ expectations are of their University experience, most institutions are thinking hard about ‘what they offer’. How do they turn their campuses from liabilities into significant assets? As the learner changes, as we give them a more central role in the learning process, should we be exploring spaces through the SOLE model, or something like it? Should we be asking what spaces we need to engineer for students to help them fulfil the holistic experience the SOLE model represents. I think a conceptual model of learning provides a useful mechanism for these conversations.